We have a new challenge (to us) that we are sponsoring this month - Creative Lady Birds. 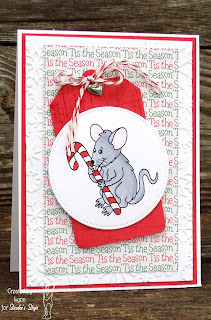 It is an Always Anything Goes that last a WHOLE month! So if you make one project there are several Anything Goes Theme challenges this week you can enter into for several chances to win! Not sure if Lynn is hot and trying to bring cooler weather or if she is just trying to get ahead of Christmas before it gets here! 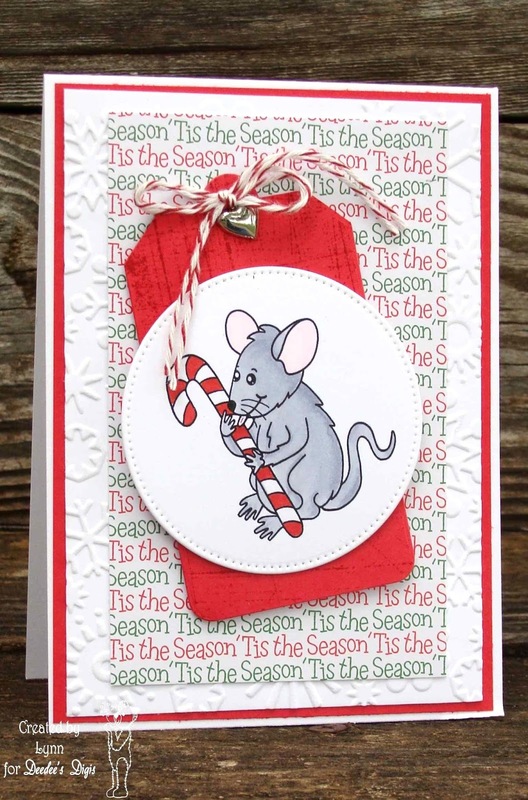 Either way the card is adorable and someone will love to find it in their mailbox this December. 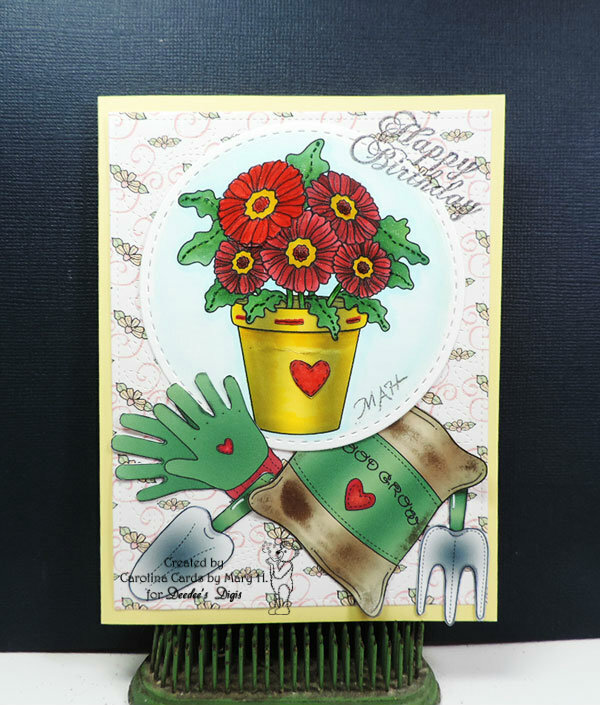 Mary H's sister-in-law loves her garden so this card will be perfect for her. Did you see how the bag looks old with stains on it...check out her blog she tells you how to get that look! Totally cool. Remember to come back at 3 pm Pacific Time for more inspiration and another challenge Deedee's Digis is sponsoring. Labels: Challenge Sponsorship, Lynn Hayes, Mary H.